Progress is impossible without change; and those who cannot change their minds cannot change anything. ..."George Bernard Shaw(1865-1950, Irish dramatist, essayist and critic, Nobel Prize for Literature 1925)"
I using LTSPice and PSpice to do a simulation eith RLC circuits. This is my first time using LTSpice for rlc simulation. The problem is, I don't know to handle RLC circuits using LTSpice. PSpice, i haven't try yet. Your problem can be solved analytically. The switch between capacitor and 2Ω opened at t=0, it means that the capacitor is charged to 12V*2/3=8V at t=0. The solution is similar to a spring with constant k, attached with mass m and damping constant b. The analytical solution can be found in standard textbook. 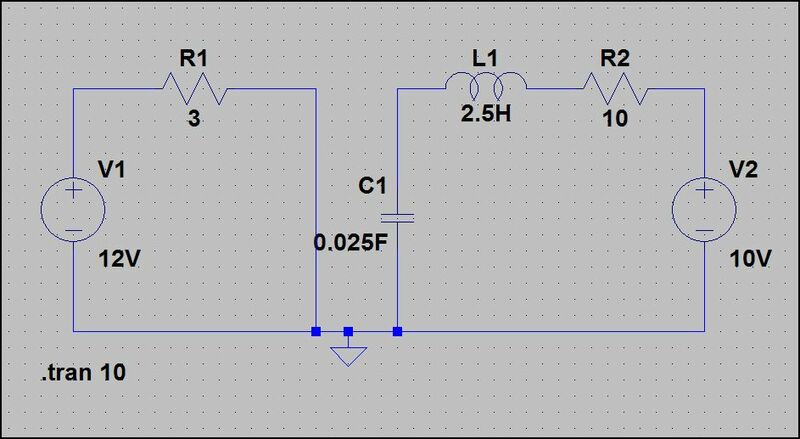 You are also welcomed to check out RLC circuit simulation (DC Voltage source) to find out the simulated solution. Oh, ok, thanks, this problem already solved. I must put in the initial condition for capacitor, 8V. I simplified it. IC=Initial condition. It is great that you can solve it by yourself!